As part of the Easter Rising centenary programme for 2016, we were lucky to be visited by members of the Irish Defence force today. 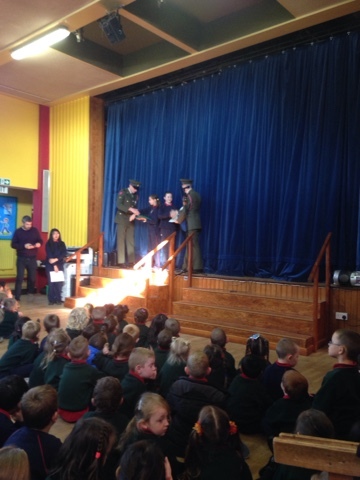 They presented us with a new tricolour flag and also a copy of the 1916 Proclamation of the Republic. To prepare for this visit we learned and sang Amhran na bhFiann, which Room 22 sang beautifully today! 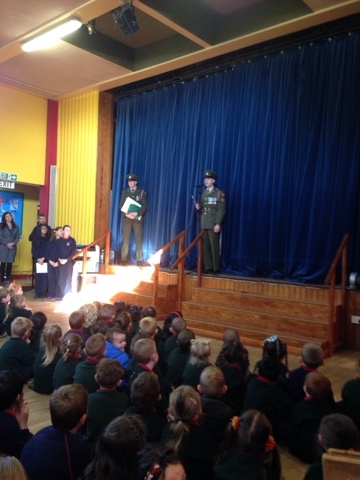 Check out the pictures below of the Irish Defence force talking to the whole school!